The much rumored and equally anticipated new phone from Android creator Andy Rubin is now reality. 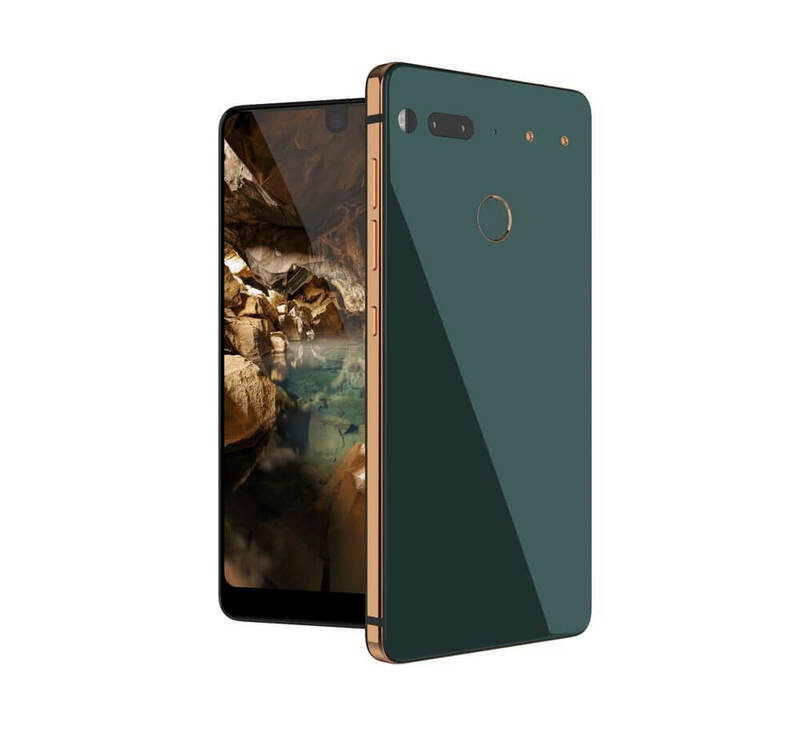 The Essential Phone is packed with impressive specifications and is available for pre-order from the Essential Products site. The phone starts at $699 or you can pick it up with a magnetic attachable 360-degree camera for $749. At this price, the near bezel-less phone is aimed at the flagship market and it has the specifications to justify the price. The Essential PH-1 has a titanium body with a ceramic back, a 5.7″ 2560 x 1320 Quad-HD display, 4GB of RAM and 128GB of storage built-in. It is powered by the Qualcomm Snapdragon 835 processor. This octa-core processor has four cores running at 2.45GHz and the remaining four clocked at 1.9GHz. RGB camera coupled with a 13MP monochrome camera. It is has a f/1.85 aperture and hybrid autofocus (laser and phase detection). It is capable of shooting up to 4K video. The front facing 8MP camera is a fixed focus f/2.2 shooter that can also shoot 4K video. The PH-1 runs Android Nougat via their Essential Ambient OS. This is the same platform that Essential is using for the IoT platform, including a new Google Home competitor. The company is being very direct in their approach to making sure that this flavor of Android solves the problem of lagging updates and other core updates. They have designed it to be future proof although the details are still not 100% clear. The PH-1 only has a UBS-C connector and does not have a 3.5mm headphone jack. The company has gone the route of Apple and provides a dongle to connect wired headsets via the USB-C connector although the preferred connection method is via Bluetooth 5.0 built into the phone. Finally, from a battery perspective, the Essential Phone is powered by a 3040mAh battery which should keep you running all day. Andy Rubin is taking the stage at the Code Conference later today and you can bet he will be talking about his new phone.